Does pyllerup belong in this group? Does jackdanger belong in this group? HALLØJ! er der nogen fra danmark her? 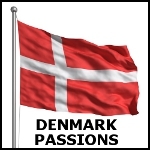 Does danishviking belong in this group? I love strange people Just looking for someone strange and wonderfull like me Into fantasy, sci-fi and crime shows. Does togelian belong in this group? Save me jebus! I really have no idea what to write. Does kryk belong in this group? Does sorenzo belong in this group?